What’s going on at the Greenfield Library? Pictured are winners from the Greenfield Library Summer Reading Program, from left, Joshua McCoy from Greenfield Adena Medical Center, Macy Keeton, Jenna Jenkins, Kallista Hennison and Sharon Aukeman, branch manager. The girls won bikes by participating in the Adena Healthy Kids summer reading activity log. Pictured is Spencer McNeil from the Greenfield Library and Max Rowe, who won an iPod by participating in the Adena “How I Rock My Health” activity sheet contest. September is Library Card Sign-up Month and the staff at the Greenfield Library would like to remind parents that your children need to have the smartest card in their wallets – a library card. Please bring your kindergarten-age or older children to the front desk and sign them up for a card if they don’t already have one. The only requirement is that their parent must have a library card in good standing within the Highland County system. If a parent needs a card, we will be happy to oblige. Bring in a picture ID and one other piece of identification showing your current address. That’s all it takes. To encourage our young patrons to have and use their library cards, children who sign up for a new card during the month of September will get a grab bag of goodies. We will also have an “Incredible” contest for all patrons who use their library card during the month of September. So come in and help us celebrate Library Card Month from Sept. 4-29. The Highland County libraries will be closed Monday, Sept. 3 in observance of the Labor Day holiday. Please feel free to use our outside book drop to return items. We will be having a book sale in our community room starting Tuesday, Sept. 4 through Monday, Sept. 10. Come in and browse the great book bargains. Our senior exercise classes facilitated by Edgewood Manor continue on Wednesdays at 1 p.m. Join in on the fun and help your heart. Our storytimes resume on Wednesday, Sept. 12 and continue every Wednesday morning at 11 a.m. All preschool age children and their parents are invited to join us for a time of songs, rhymes, stories and crafts. Stop by our front desk to pick up a booklet that includes this year’s dates, themes and more information. The Greenfield Library staff would also like to say a big thank you to the following individuals and businesses for their support and donations during our summer reading program. They truly were instrumental in making this year’s program so successful: Adena Health System, Advance Auto Parts, Alley 21, Becky and Jeff Johnson, Becky’s Relaxation Station, Big City Pizza, Buck’s Tire, Cincinnati Reds, Community Markets, Community Savings Bank, COSI, Dakotas, Dollar General, Dominos, Frisch’s, Greenfield Chiropractic, Greenfield Music Shop, Hardy Memorials, Highland Lanes, Jett’s Embroidery, Kings Island, Linda Fugate, Long’s Retreat, McDonald’s, Merchant’s National Bank, New Sabina Industries, Newport Aquarium, Ohio Renaissance Festival, Ohio State Fair, Ohio State Parks, Pizza Hut, Robbins Village Florist, Roller Haven, Save-A-Lot, Small Town Fitness, Southern Hills Community Bank, Star Cinema, Subway, Taco Bell, Tecumseh Outdoor Drama, The Beach Waterpark, The Glitz, Trendsetters, Weller’s Plumbing & Heating and Wendy’s. Looking ahead to next month, we will be having a cookout for teens to plan this year’s teen activities including middle and high school book clubs at 5:30 p.m. Tuesday, Oct. 2. So stop in for some good eats and help us plan the activities you are interested in. We will also be having Halloween contests and other fun activities during October so stop in for a visit and to keep up-to-date on what’s going on at the Greenfield Library. We hope to see you soon. Sharon Aukeman is the manager at the Greenfield Branch Library. https://www.timesgazette.com/wp-content/uploads/sites/33/2018/08/web1_Greenfield-pic-1.jpgPictured are winners from the Greenfield Library Summer Reading Program, from left, Joshua McCoy from Greenfield Adena Medical Center, Macy Keeton, Jenna Jenkins, Kallista Hennison and Sharon Aukeman, branch manager. 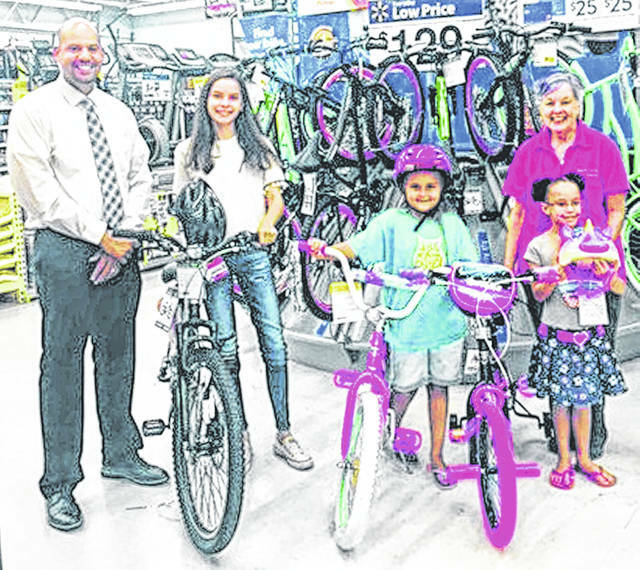 The girls won bikes by participating in the Adena Healthy Kids summer reading activity log. 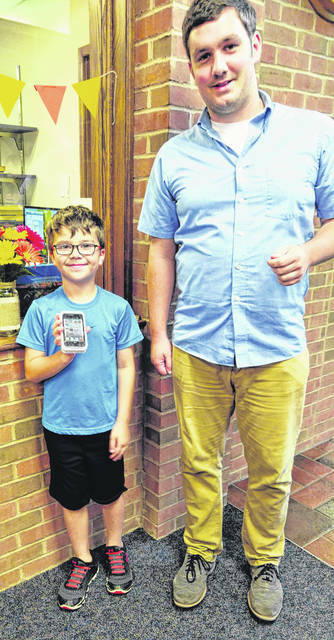 https://www.timesgazette.com/wp-content/uploads/sites/33/2018/08/web1_Greenfield-pic-2.jpgPictured is Spencer McNeil from the Greenfield Library and Max Rowe, who won an iPod by participating in the Adena “How I Rock My Health” activity sheet contest.